How clever was Cindy to create Santa's beard for this speed challenge? 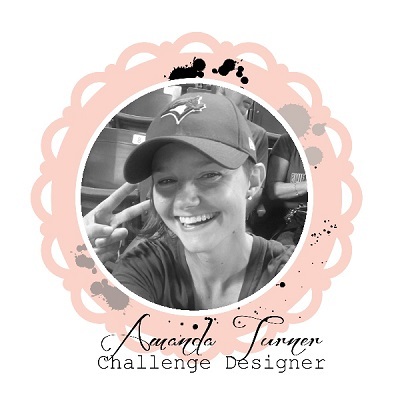 We loved the bokeh background paper she chose and the way she made the beard, with the curled strips and the die cut moustache. 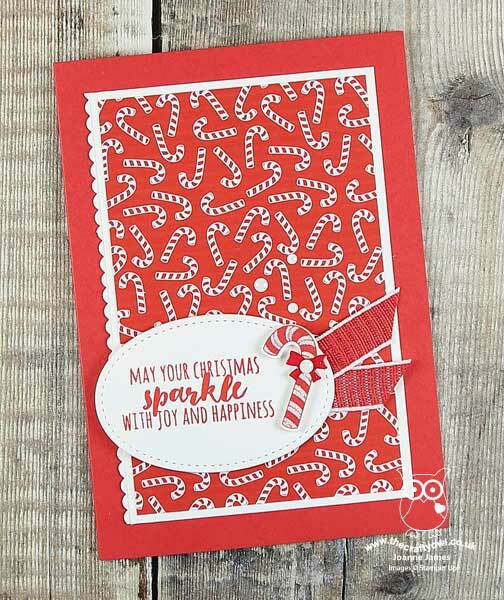 The die cut Ho, ho, ho and the sequins finish off this adorable card perfectly! Joanne put aside her tendency to fuss over her projects and came up with some eye candy full of candy canes! 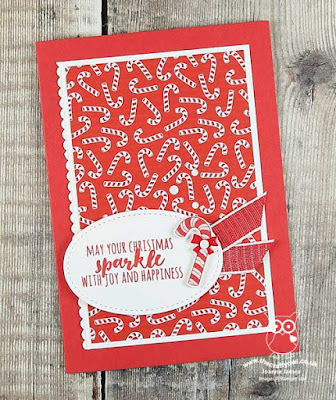 Her creation is red, white and super sweet, as the big candy cane as the focal point is echoed in the Designer Series Paper she used as a background! The Design Team all loved the little details, which set apart speed challenge entries, like the row of small scallops in the Whisper White backing, and the white enamel dots!